Zakynthos | Boat Trips | Boat Rentals | Authentic Local Experiences: EXPERIENCE THE ABSOLUTE SUMMER TRIP! 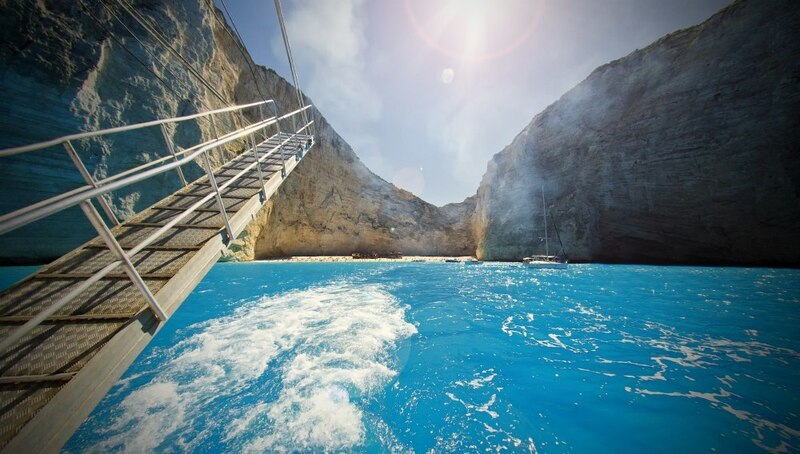 SWIM IN NAVAGIO AND THE BLUE CAVES! EXPERIENCE THE ABSOLUTE SUMMER TRIP! SWIM IN NAVAGIO AND THE BLUE CAVES! 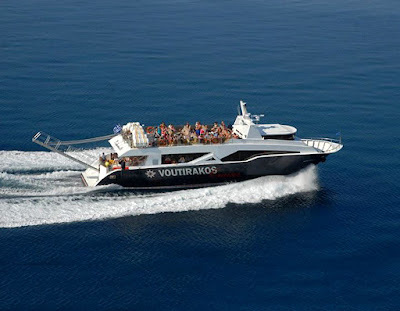 The boat sets off from Zakynthos port at 9:00 in the morning. The routes are daily morning and afternoon. "Stavroula B" is a modern, comfortable ship that guarantees a safe and enjoyable voyage! The first stop takes place in the magnificent Navagio. The words cannot describe this breathtaking view. 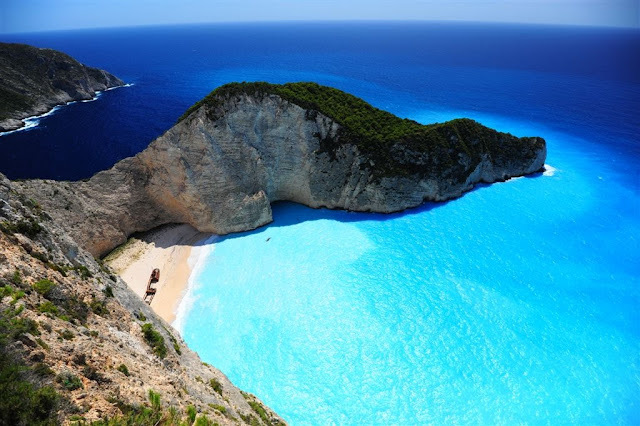 In The first stop takes place in the magnificent Navagio. The words cannot describe this breathtaking view. 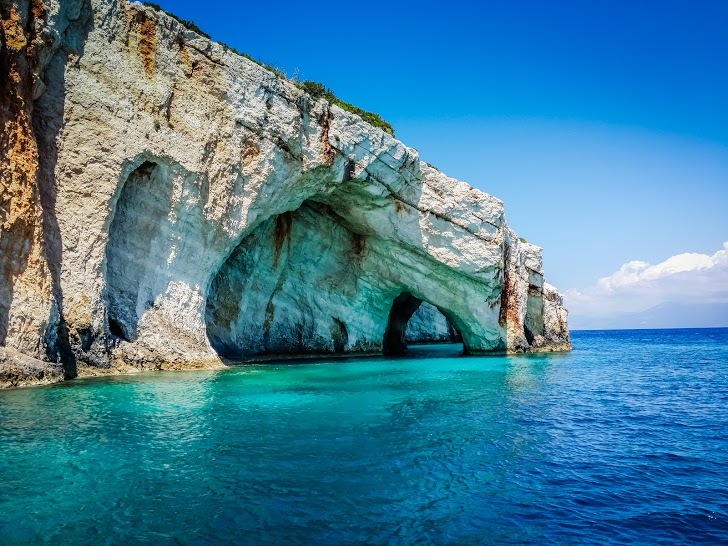 In Navagio you will have the chance to sunbathe, swim in the clear blue sea water and of course take as many pictures as you can for about an hour. The wild beauty of the rocks and the unique cool sea water will definitely be unforgettable. Sailing back to Zakynthos port there will be a stop at the Blue Caves. The boat enters in one of them and depending on the weather you might have the chance to be able to swim and see yourselves becoming blue under the surface of the water for about half an hour. Especially very early in the morning as the light falls on the caves the water, the rocks even the bottom of the sea are painted deep blue. The total duration of the trip is 4-5 hours. Returning to Zakynthos port you will find the buses waiting to take you back to your accommodation. Free transfer: from and to accommodation for Argasi, Laganas, Kalamaki, Tsilivi, Alykes, Alykanas. I wrote an email to info@zantehotels4u.com twice for booking the boat trip but did not get the answer yet. May I ask, which email address is the right one which I can get the reply?